[165 Pages Report] The aircraft brake system market is projected to grow from USD 6.08 Billion in 2017 to USD 8.42 Billion by 2022, at a CAGR of 6.71% during the forecast period. The base year considered for the study is 2016 and the forecast period is from 2017 to 2022. The report analyzes the aircraft brake system market based on component (braking systems, wheels, and brakes), fit (line-fit and retrofit), platform (commercial and defense), and region (North America, Europe, Asia-Pacific, and RoW). The report provides an in-depth market intelligence regarding the aircraft brake system market and major factors, including drivers, restraints, opportunities, and challenges that may influence the growth of the market. It also provides an analysis of micromarkets with respect to individual growth trends, growth prospects, and their contribution to the overall market. The report also covers competitive developments such as long-term contracts, new product launches and developments, and research & development activities in the aircraft brake system market, in addition to business and corporate strategies adopted by key market players. Market size estimation for various segments and subsegments of the aircraft brake system market was arrived at by referring to varied secondary sources, such as Hoovers, Bloomberg Businessweek, Factiva, annual reports, and publications, among others. Furthermore, market triangulation was performed with the help of statistical techniques using econometric tools. All percentage shares, splits, and breakdowns were determined using secondary sources and verified through primary sources. All possible parameters that affect the market have been accounted for, viewed in extensive detail, verified through primary research, and analyzed to acquire the final quantitative and qualitative data. This data was consolidated with detailed inputs and analysis from MarketsandMarkets, and presented in this report. 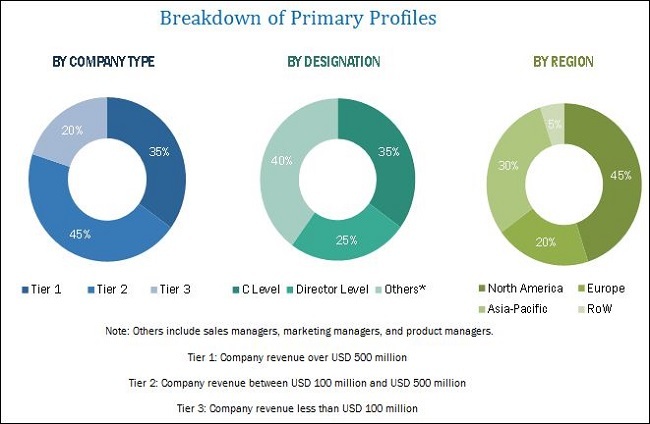 The aircraft brake system market ecosystem comprises manufacturers such as Safran S.A. (France), UTC Aerospace Systems (U.S.), Honeywell International Inc. (U.S.), Crane Aerospace & Electronics (U.S.), Parker Hannifin Corporation (U.S.), AAR Corporation (U.S.), Beringer Aero (France), Lufthansa Technik AG (Germany), Jay-Em Aerospace, Inc. (U.S.), and Hong Kong Aircraft Engineering Company Limited (Hong Kong), among others. The aircraft brake system market is projected to grow from USD 6.08 Billion in 2017 to USD 8.42 Billion by 2022, at a CAGR of 6.71% during the forecast period. This growth can be attributed to the increasing fleet size of commercial aircraft and the growing demand for lightweight aircraft components. The aircraft brake system market has been segmented based on component, platform, fit, and region. Based on component, the market has been classified into braking systems, brakes, and wheels. The brakes segment of the market is projected to grow at the highest CAGR from 2017 to 2022, owing to the high demand for carbon brakes and technological advances in braking systems, such as electric braking systems. Based on fit, the aircraft brake system market has been segmented into line-fit and retrofit. The retrofit segment is projected to grow at the highest CAGR during the forecast period. This growth is mainly attributed to the aircraft maintenance and repair activities carried out within a span of four to five years. Based on region, the aircraft brake system market has been segmented into North America, Europe, Asia-Pacific, and the Rest of the World (RoW). North America is projected to lead the aircraft brake system market during the forecast period. The aircraft brake system market in Europe and Asia-Pacific is anticipated to witness significant growth, owing to the increase in demand for cost-effective and highly reliable aircraft brake system components. Stringent regulations regarding aircraft safety and security act as a key challenge to the growth of the aircraft brake system market. Products offered by various companies in the aircraft brake system market have been listed in the report. The recent developments section of the report includes recent and key developments made by various companies between 2013 and 2017. Major companies profiled in the report include Safran S.A. (France), Honeywell International Inc. (U.S.), UTC Aerospace Systems (U.S.), Crane Aerospace & Electronics (U.S.), and Parker Hannifin Corporation (U.S.), among others. Contracts and agreement were the key growth strategies adopted by leading players in the aircraft brake system market. 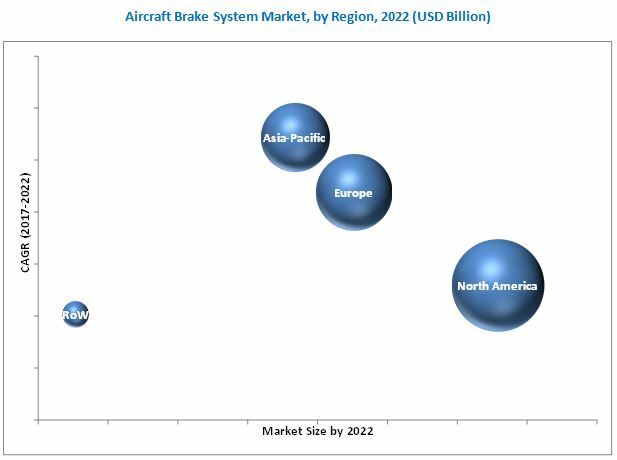 These strategies have enabled companies to strengthen their market share in the aircraft brake system market. 12.11 Jay-Em Aerospace & Machine, Inc.
12.12 Grove Aircraft Landing Gear Systems Inc.